Every October, the autumn leaves turn golden, the sycamores lose their leaves, and the color PINK is everywhere. After 30 years of breast cancer “awareness,” have we found a cure? No. What we have found are three thousand more PINK products, many of which contain carcinogens found to negatively influence cancer. Don’t get me wrong, I’m grateful for surviving breast cancer. I’m indebted to all of those who have contributed time and money to BC research. I proudly wore “pink” the first two years, like some lucky talisman to help me in my travels down the pit of despair. What gets to me is the commercialization and big corporations making a buck or ten off pink buckets of chicken, yogurt and toilet paper. And it sure as hell doesn’t impress me when the NFL cheerleaders dress in pink shorts and rattle pink pom-poms. (According to Business Insider, only 8% of the money from NFL pink merchandise goes to the American Cancer Society). Since my diagnosis, I’ve tried really hard to keep free of toxins in my food, hygiene, and cleaning products. Shouldn’t a corporation seeking to help survivors do the same? These corporations make big money off pink products. Where does it go? Some of it goes to the American Cancer Society, or other breast cancer organizations. Like the donations from the NFL, these organizations may receive less than 10% of your purchase. …only 71.2 percent of money the ACS receives goes towards its programs. Last time I checked, the program expenses number now sits at 60.6 percent. Compare this to the Breast Cancer Research Foundation which, according to Charity Navigator, spends 91.9 percent of its funds towards program expenses and its services. If corporations want to really help, they can give money to research and provide services for underserved communities and community health clinics. 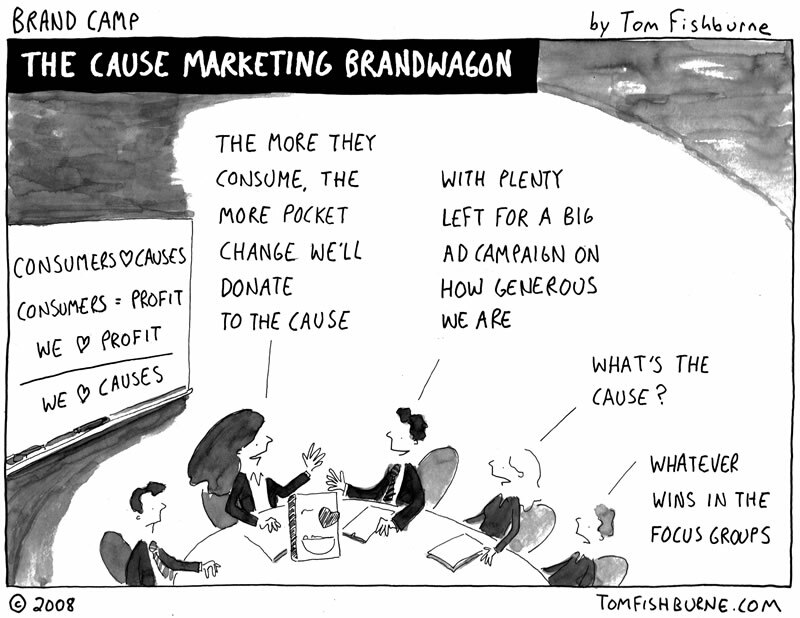 So, how do you evaluate which cause-related marketing efforts are worth purchasing? Start by asking these questions: click this link. If you’d like to help fund research look for those organizations with a mission to do research or focus on the root causes of the disease, like Dr. Susan Love Research Foundation or Breast Cancer Action. 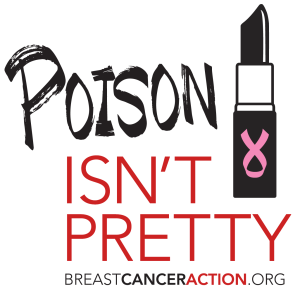 While you’re at it, sign a petition or two to encourage legislation which will help those with breast cancer and please use as few toxic chemicals as possible. A listening ear, a hug, ice cream, a book, a joke, a phone call, a pretty card meant the world to me and kept me going. I’ll always remember your kindness. That has always been my beef—-“charities” who keep most of the money. The scam artists who keep all the money are right there with corporations who keep most of the money. Glad you’re still with us, Mona. You don’t drop by the Book Discussion group anymore, but I still like you. YES! You are right on all points, Mona. Cheers to your health!